Cottesloe Mayor Philip Angers at Cottesloe Beach. Picture: Jon Bassett. THE entire 144-bay Cottesloe Beach public car park will be ripped up and replaced with new uses to be designed during winter. At Tuesday’s Cottesloe council meeting, councillors agreed to remove the car park’s tarmac, finalise the details for a guiding master plan and seek more funds, after allocating $956,000 last December. It would have cost the council $320,000 just to resurface the crumbling tarmac. Actual work on new uses for the site will start only after completion of detailed designs for other improvements of the nearby foreshore, the start of a feasibility study into a ocean pool, and cycling and pedestrian access plans for the entire town. “This will be beneficial to businesses in the long term because it is better for tourists to have an attractive sun shaded, wind shielded area to enjoy the sunset,” one of 217 public submissions to the council proposal said. Acting chief executive Gary Bird said it could now be unlikely the car park would be replaced by next summer. 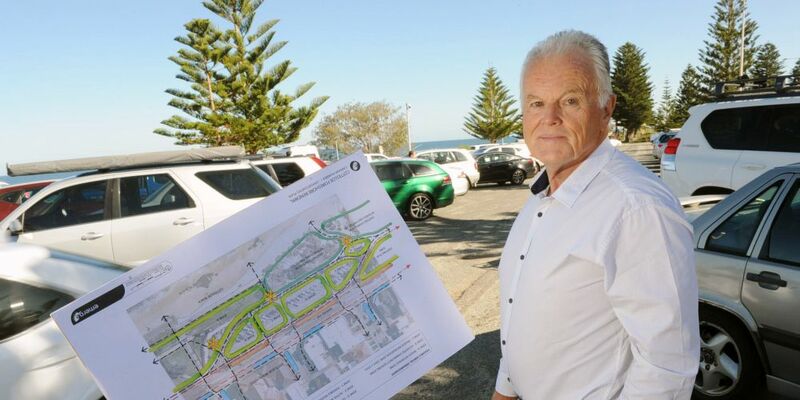 Closing it, which would send cars the 355 bays at nearby Napier Street, was supported by 133 (64 per cent) of those who submitted public comment, including beach strip businesses, since December. There were 36 objections to removing the car park, 12 wanted it partially closed, and 28 wanted partial closure but needed more information. Comments were requested on the area north of the Indiana restaurant and the adjacent grass terraces, four roughly equally-divided parts of the car park and around the sunken amphitheatre at the site’s far north. A staff report said ideas included the full or partial redesign of the terraces, while more grass and seating was requested for uninterrupted sea views – but visiting food trucks were rejected. At its north end, the public suggested barbecues, covered tables and more trees that would blend into a potential skate park and active area including a multi-use play area. “Do not spend any ratepayers’ money on development and active area development, we want to keep it natural and relaxed,” one submitter said. Another said the council should seek State and Federal government funds because the foreshore was used by all Perth residents and tourists.